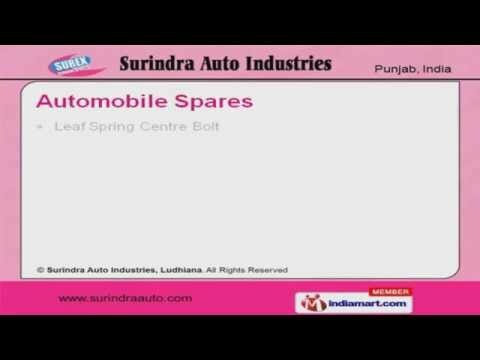 Welcome to Surindra Auto Industries, Manufacturer and Exporter of Automobile Spare Parts. Precision engineering, Quality commitment and State of the art manufacturing unit make us unique in the industry. Competitive prices, Efficient use of raw material and customized solutions are some of the key factors behind our success. Precise Design, Durable and Sturdy are the features that make our products unique. Our R and D is highly focused on Improving and Finding new and innovative techniques of production. We offer a wide array of Automobile Spares and Tractor Linkage Parts. Our Automobile Spares are in huge demand across the global markets. Tractor Linkage Parts offered by us are extremely reliable. Our Trailor Suspension Parts are available at industry leading prices.